As a high school student, my preparations for college started with a trip to the library to look for books with “college survival” in the title. I actually found a few good ones, that that experience led me to keep seeking out books during my college experience that helped me become more effective and stand out. It also led me to blogs like Lifehacker and HackCollege, which in turn inspired me to start CIG. So, essentially, books are awesome. Well, in lieu of showing up at your dorm with a dump truck full of books, this week I decided to make a video recommending three of my favorites. 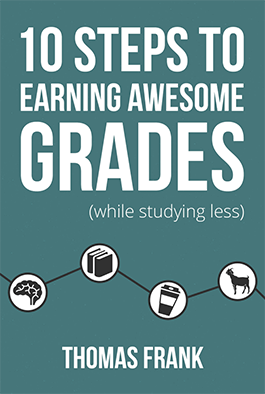 These books will help you build better habits, become a more competitive job candidate, and hopefully keep your student debt low – or nonexistent. Read them! 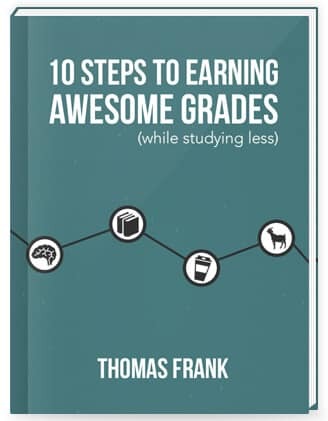 If you enjoy these books, you might also like the book I wrote called 10 Steps to Earning Awesome Grades (While Studying Less) – which is free! What other books have you found useful as a student?